Comfortable, classy, convenient—when you step inside the Chrysler Pacifica, using the words “minivan,” almost becomes faux paux. The minivan market has notoriously taken heat from the automotive industry for producing vehicles with lame duck interiors, uninspired exteriors and engines that lack the juice to give drivers confidence on the road. However, everything changed when Chrysler introduced the Pacifica—the metaphorical automotive seas parted for the minivan back in 2017, and in the years past, made being a minivan cool again. Learn more about this innovative vehicle from your friends at Southtown Chrysler. 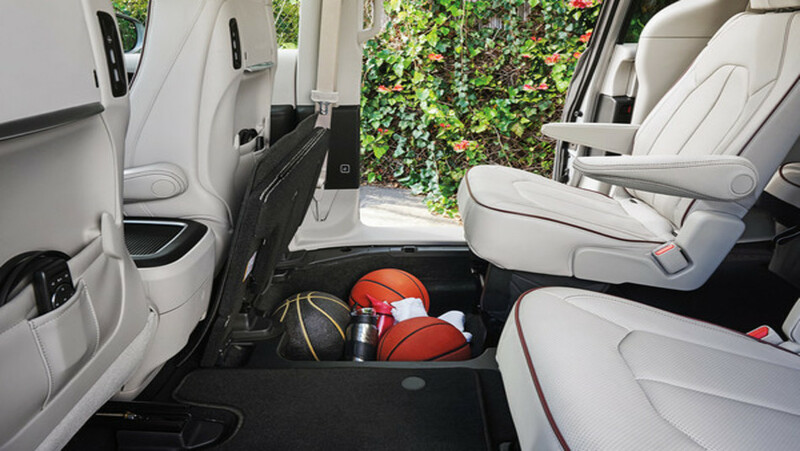 Let’s face it, if you’re in the market for a minivan, you’re likely looking for family-friendly seating and handy storage options. 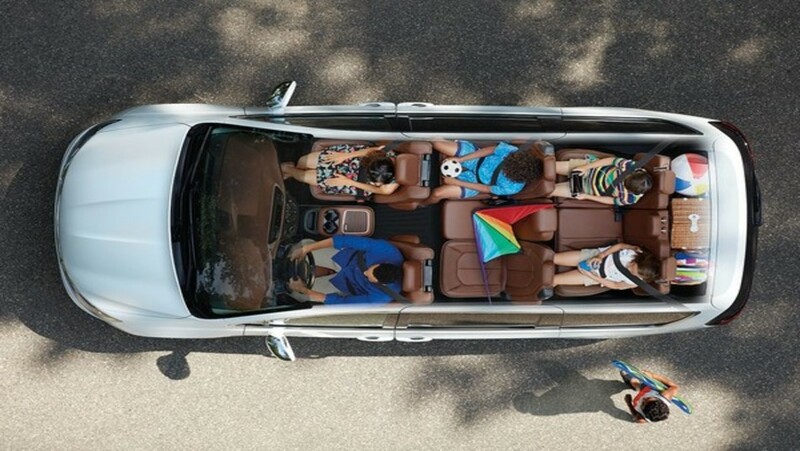 The Pacifica doesn’t disappoint on that front, with three rows and room up to eight passengers, you’ll be able to take your entire crew comfortably on any adventure! And you’ll be adventuring in style with the Pacifica’s award-winning interior. High-quality materials line your cabin—available Cranberry Wine piping, accent stitching and Nappa leather-faced seats with perforated inserts make the interior of the Pacifica unforgettable. When you ride in the Pacifica, you’re treated to a plethora of storage options, one of the most notable being the Class-Exclusive Stow’n Go® seating for both the 2nd and 3rd rows. Folding compartments gives you somewhere to put all your goodies, so you don’t have to stress about crowding your cabin. The centre seat in the 2nd row is also easily removable to add the option of extra cargo space. And if that wasn’t enough—when unoccupied and the seatback is folded—the centre seat doubles as an additional storage bin, cupholder, or arm rest. Get the utility and style you demand with the Chrysler Pacifica from your friends at Southtown Chrysler! We’re proud to offer service for your Pacifica, as well as all other makes and models. We also have a massive inventory of OEM parts! Come to Southtown Chrysler for all your automotive needs.